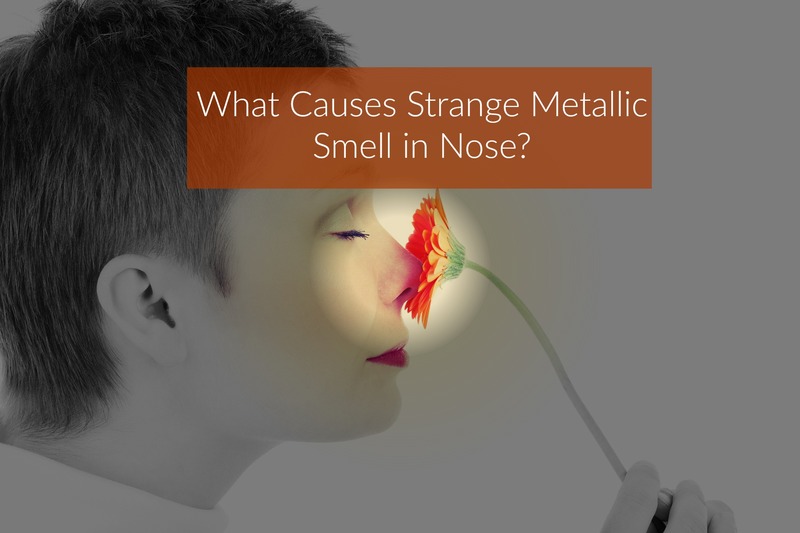 Home » Blog » What Causes Metallic Smell in Nose? If you are reading this, chances are, you have been experiencing a metallic smell in the nose. While this may not seem like too big of an issue to most, it is and has likely resulted in a vast amount of frustration and other complications. Everywhere you go, you are surrounded by the metallic smell that plagues you. You may find that the foods that you eat and the beverages that you consume all have a metallic taste. Regardless of the air fresheners, perfumes, and even the mouthwashes that you use, the metallic smell persists. You may have asked others if they smell the metal, vinegar or other unusual smell, as you do, but, have found that you are the only person that seems to be detrimentally impacted by this issue. If you are experiencing smell in a nose that won’t go away and/or a headache, it is imperative that you attempt to determine the underlying cause associated with the issue. Many medical professionals refer to this phenomenon as “phantom smell” or “phantosmia”. Continue reading this comprehensive guide to learn more. Essentially, it is a condition that results in your detecting smells that are not actually present in the environment in which you are located. The types of odors that are detected may vary from one individual to another. In most instances, the odors are described as being foul, but, may also be pleasant. There are some cases where the smell is only experienced on one side of the nose, but, in most instances, the smell is experienced in both sides of the nose. Additionally, the odor that is detected may seem to persist or it may come and go at random intervals. If you are suffering from a strange smell in nose and you are unable to identify a culprit for the smell, you are likely suffering from phantosmia. In order to truly understand what causes a metal smell in nose and other types of olfactory hallucinations, it is first important to understand the sense of smell – as a whole. Once the molecules go into the air, they have the capability of reaching your nose. When this happens, you pick up on a legitimate scent. Inside the high region of the nose, there are nerve cells that are identified by doctors as “olfactory sensory neurons”. These are connected directly to the central nervous system. These have special receptors that are able to detect smells from actual molecules. After the smells have been detected, electrical signals are then transferred to the brain. Once the signals reach the brain, the smell is then identified. There are two basic manners in which smells are able to reach the neurons at the top of the nose. The first way, of course, is through the nostrils. The second way is through the throat area, which is located on the back side of the nasal cavity. When you swallow, for example, the foods that have been chewed will release the molecules that result in odors. The tongue will push the air from the mouth and throat into the back of the nasal cavity. Doctors refer to this process as the “retro-nasal olfaction”. If you would like to learn about the smell systems of the brain, click here. Now that you know a little about the sense of smell, we will continue on by outlining the potential causes associated with metal smell in nose and other phantom smells. According to research, there are many potential causes associated with experiencing metallic, nasty or rotten smell in nose and other odors commonly smelled when an individual is suffering from phantosmia. » Many people that smoke and/or chew tobacco products will find that they experience unusual smells. » The exposure to various types of chemicals such as household cleansing agents, pesticides, herbicides, and solvents may result in metallic smell in nose and/or other types of phantom odors. » Individuals that have issues with their teeth, gums, and other aspects of their dental health may suffer from a bad smell in the nose. » Those that have migraines with auras may experience some type of phantom odor. » Nasal polyps commonly result in phantom odors. » Those that suffer from an infection of the nasal cavity may find that they suffer from a nasty and unpleasant smell in the nose. » It is most common when sneezing, or, immediately thereafter; however, once the issue starts to clear, the phantom smell will often go away. According to studies, there are many serious issues that could result in the onset of metal smell in nose and smelling other odors that may not be identified within the environment. In most instances, these issues are neurological in nature. • Many that develop epilepsy or start suffering from seizures will suffer from a unusual smell in a nose at the onset of the issue. • Those that suffer from an injury to the head, neck, and/or back may find themselves suffering from unusual smells. • If the olfactory nerve is detrimentally impacted by the onset of cancer, tumor, or another type of abnormality, metallic smell in a nose may be experienced. • Diseases that detrimentally impact the health of a person and originate in the nervous system may cause metallic smell in nose. These include dementia, Alzheimer’s disease, and/or Parkinson’s disease. • A stroke may result in phantom smells. The treatment for a metallic smell in nose and/or other types of phantom odors will depend on the underlying cause of the condition. While this may seem like a relatively minor and harmless symptom, you should always consult your doctor if you start experiencing weird smells that cannot be physically accounted for within your environment. As stated previously, it could be caused by something as simple as exposure to an environmental allergen (such as a household cleansing agent), or something as serious as a malignant brain tumor. Experiencing weird metallic smell in nose and other types of phantom odors is a very frustrating experience. » Inform your doctor right away. 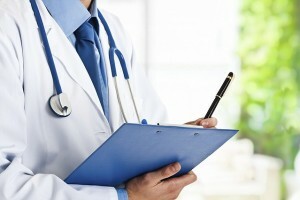 The medical professional will then question you about your medical history, perform a physical, and possibly suggest certain types of tests – such as an endoscopy of the nose or MRI of the brain – to try to uncover the underlying cause of the condition. » Once a potential cause has been identified, a treatment strategy will be prescribed.